Oculus announces PC-based virtual reality (VR) headset, the 'Rift S'. Today at GDC, Facebook-owned Oculus unveiled Rift S-a new VR headset that combines the convenience of built-in Oculus Insight tracking technology with the full power of your PC. Built on the Rift platform, Rift S gives gamers and tech enthusiasts access to the most immersive content that VR has to offer. 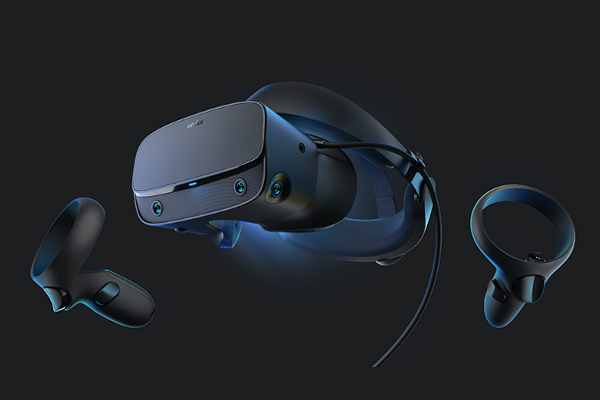 Oculus partnered with Lenovo to design Rift S, drawing on their experience in the VR and AR space and feedback from the Lenovo Legion gaming community. Lenovo co-designed the Rift S for increased comfort, better weight distribution, and improved light blocking, as well as a simple, single-cable system for a clutter-free experience. Rift S features the same integrated audio system as Oculus Quest and Oculus Go, with a headphone jack that lets you use your own favorite headphones. Rift S works with the Rift platform, giving you access to the top-selling and most immersive VR titles-and even more groundbreaking games like Asgard's Wrath, Defector, and Stormland on the horizon. Improved optics and display technology deliver a sharper picture with higher pixel density for an even more immersive gaming experience. Like Quest, Rift S features Oculus Insight, Oculus's state-of-the-art inside-out tracking technology. Say goodbye to external sensors-Oculus Insight gets you into the game with ease. Using computer vision algorithms, Oculus Insight captures, traces, and navigates physical spaces in real time. The Rift S headset features five sensors to maximize tracking volume in support of the existing Rift library. Oculus Touch controllers, redesigned for inside-out tracking, bring familiar hand presence and input so you can grab, point, and gesture through the best of VR. Oculus also enabling a true stereo-correct passthrough feature, Passthrough+. It utilizes core Oculus runtime advancements, including ASW, to produce a comfortable experience with minimal depth disparity or performance impact. It's especially helpful any time you need to step or see outside of your play space. Because Rift and Rift S share the same core platform experience, current Rift owners will be able to take advantage of continued software updates from Oculus. They'll also enjoy access to the same games available today and coming in the future. Oculus Rift S is launching in Spring 2019 for $399 USD.